Sometimes, especially when just starting out, it can be hard to find others who share an interest in picking locks. 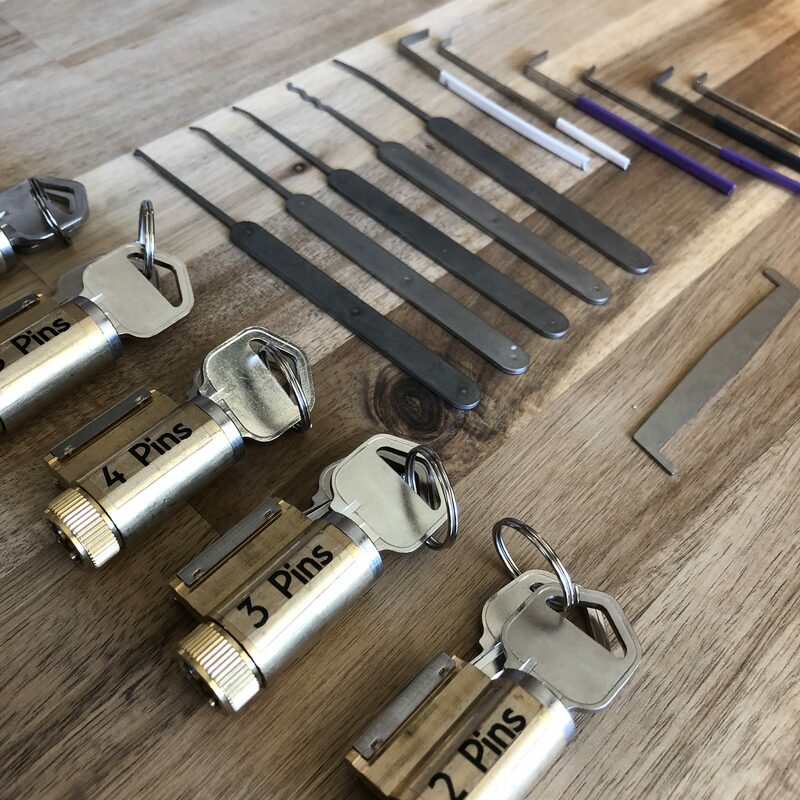 I have always felt that community is such a large part of lock picking and is something positive to celebrate, especially when there are seemingly so few of us. Personally, I have found that other women in this field are few and far between. I have more fingers on my hands than women that I know who are in locksport. I truly hope that this is a fact that can change over time as locksport becomes more widely recognized. We are kicking off an interview series, “Women in Locksport,” with one of our dear friends and a luminary in the field, Christina Palmer. Christina has been picking locks since 1975, has done dedicated studies on different aspects of lock picking, and is a lock pick designer who has worked with multiple pick manufacturers to help create better tools. Bob and I have known Christina over the course of many years and look up to her having taught both of us a countless number of things, lock picking related and otherwise. 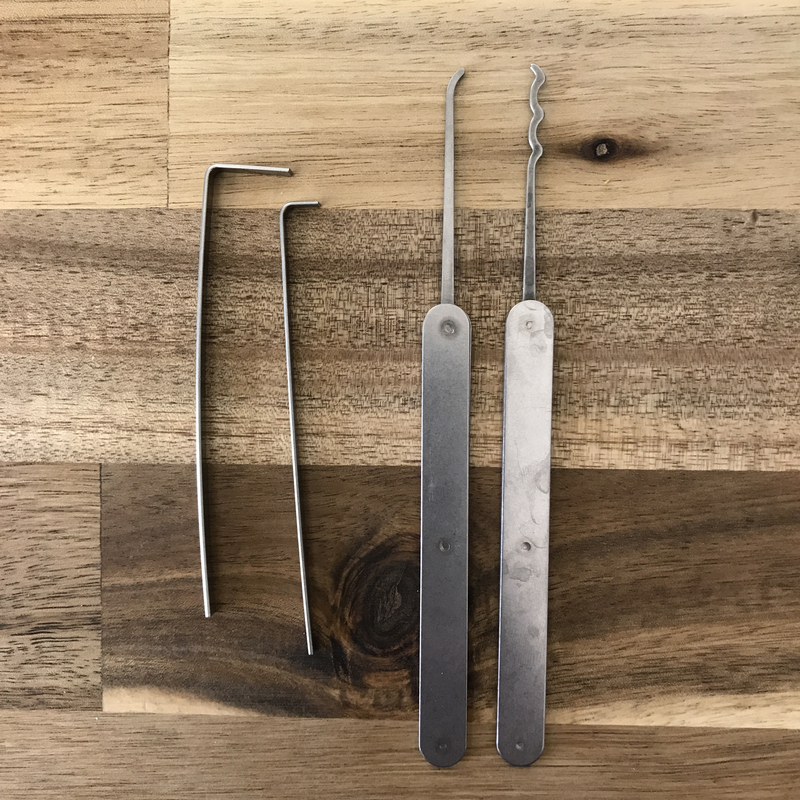 Over time, we hope to highlight more inspiring people in lock picking, so please check back with us and this series of interviews. Bob: Can you tell us how you got started in lock picking? Christina: I was walking home from high school one spring day in 1975. My eyes happened to land on the commercial mortise cylinder lock on the door of a Radio Shack, and I suddenly thought to myself, “Wouldn’t it be interesting to know how to pick locks?” Back in those days, there was no Internet as we know it, and they weren’t many good resources available, so I walked to the public library and looked up “lock” in the Encyclopedia Britannica. Now, that is a very conservative publication, and they had nothing to say whatsoever about lock picking, but they did have a beautiful exploded view diagram of a classic Yale pin tumbler lock. Looking at it, it became immediately obvious that two tools were required, one to rotate the plug, and another to manipulate the pin stacks. So I went home, found a little 1/8″ flat blade screwdriver such as were commonly given away as trinkets in those days, stuck it in a vise, bent it 90°, and that was my first turning tool. I then tried to manipulate the pins of the lock with a paper clip, but discovered that was way too soft and mushy. I then tried the old classic, a hairpin*, and found the hairpin was made of nice strong carbon spring steel that was much more suitable to the task. I bent the hairpin open and tapered the last 1/2″ of the end to a point with a hand file. I then bent the tapered end a little bit at a time with vice grips, slowly moving from the half-inch point to the the tip, thus giving it a continuous graceful curve. I then rounded all the edges with the hand file and made it nice and smooth. I still have that pick today, and it works really well. It’s a great hook. *It was later clarified with Christina that these are technically roller pins, which are larger than hair pins. She still has a package of vintage 1975 roller pins in her toolbox. These, like they do today, originally come with a coating that is designed to match hair color. The coating was removed to reveal the silver color underneath, as it is photographed above. Bob: You were able to figure out the concept of setting pins just by looking at the exploded picture of a lock? Christina: Well, I knew it was possible, otherwise people wouldn’t refer to doing it in movies, regardless of the fact that in the media, it’s generally not shown in a realistic way. I just tried it and I guess perhaps I was lucky. I don’t remember what lock I used back then. It was a long time ago, but I think I must have had a few locks at my disposal and at least some of them opened fairly readily. I probably had at least one wafer tumbler lock, which of course is pitifully easy to open, but I did have some some pin tumbler locks and probably an old Master padlock. And those are pretty easy. I just stuck my bent screwdriver in and applied some torque and manipulated the pins with my with my little hairpin hook and felt around and experimented. Thus I taught myself how to pick locks. Bob: Has your knowledge of lock picking helped you in your younger years? Christina: I attended a wild and woolly co-ed boarding school for my last 2 years of high school, where I taught much of the student population how to pick locks. I became the unofficial locksmith for the school while I was there. The administration would turn a blind eye to my mischievous activities, and in return I was expected to help them whenever they got locked out, which was often. 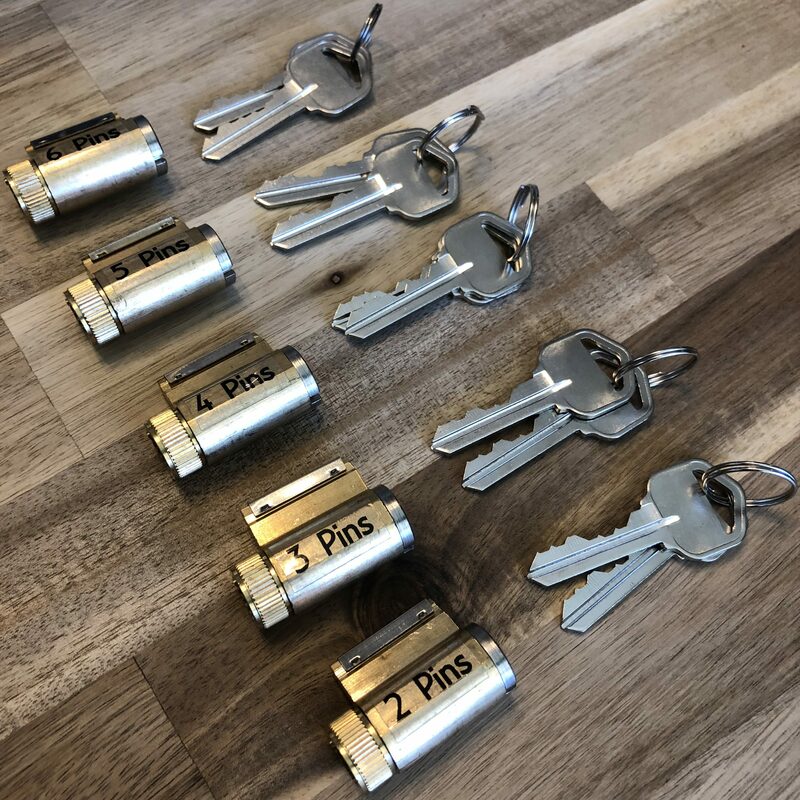 They had an ancient and arcane system of master keyed locks throughout the school and they didn’t have their own locksmith, so I probably saved them vast amounts of money. It was not uncommon for them to wake me up when I was fast asleep on Sunday morning in order to open a lock, but it was worth it, because I got away with bloody murder while I was there. It was great. One day I actually heard a student ask the administrator for Palmer Privileges. “Is your last name Palmer?” the administrator replied. “No,” the student sulked. “Well then, you don’t get Palmer Privileges.” You just can’t pay for that kind of life experience. I still giggle thinking about it. Bob: What other kinds of adventures has lock picking gotten you into? Christina: My first week at university, I completely disassembled my dorm room lock, and carefully measured the pins. They had a complex mastering system with a grand master, sub masters, and the individual room key. So it wasn’t enough to just disassemble my lock to determine the master key. I bought some key blanks at a hardware store, and hand cut a key that I guessed might be the grand master, but it turned out to be just the sub master for my building. So a few days later, after I’d made some friends, I went to one of their rooms in a different building, took their lock apart, and measured their pins, of course cross referencing to their key and to my key, and with that information was able to deduce which cuts were the correct cuts for the grand master. I then hand cut a grand master key, and sure enough, it worked. I made a very small number of those for my closest friends, and from then on, we were able to go anywhere in the university. Most of my friends were in that other building, so I was over there a lot. Each building had a Resident Assistant. These were students who were paid and got to live in a suite in the front of the first floor. They made sure that things didn’t get out of hand, and that sort of stuff. Well, the Resident Assistant over at that other building was a stickler for rules and detail. She was super uptight, and she would notice me. She could see right out her window that I’d be coming and going all the time. Each building was locked, the stairwell door could only be opened by holders of a room key for that building. Yet I would just waltz in all the time. So she became progressively more hyper-vigilant, and finally one day accosted me, and accused me of having a key for her building. She demanded that I whip out my keys, and I decided to humor her. She said, “There, that one!” I inserted the key into the lock, but deliberately didn’t insert it quite far enough, turned it left and right, and demonstrated how it wouldn’t open the door. She stomped off frustrated, but clearly this situation could not be allowed to continue. I gathered together a large number of friends, and we planned an elaborate ruse. We had someone call her, pretending to be from security, telling her there was a package waiting for her. This obliged her to walk from her dorm room all the way across campus to the Security office in the Student Union Building to pick up the package. This would take her about ten minutes each way. She set out to get her nonexistent package, and we had people following her with walkie-talkies, telling us were she was, every step of the way. Meanwhile, we opened her suite and removed everything: the furniture, the telephone, all of her belongings, transporting them via a human bucket brigade into the basement storage room containing supplies for visiting parents who came in the summertime. We then reversed the bucket brigade, filling her room from floor to ceiling with hundreds of pillows from the storage room, closed the door, locked it, and casually, but conspicuously, loitered in the general area of her room to see what would happen upon her return. Well, she stormed back 20 minutes later really pissed off because, of course, security had no idea what she was talking about, and there was no package. She sees us all looking at her expectantly, and opens her door to find a wall of pillows. She attempts to dig a few out to get into her room but quickly discovers that there’s nothing in there but pillows, then immediately locks her door and storms off to security again, informing us that we’ll pay for this. As soon as she leaves to get security, (another 20 minute round trip walk across campus) all the pillows go back down into the storage room and all of her stuff is moved back into her room, exactly as it was originally. She comes back again 20 minutes later with a security guard in tow and unlocks her door. She swings it open and says, “SEE?” The security guard looks into the room and thinks she’s totally nuts and leaves. She never bothered us again. 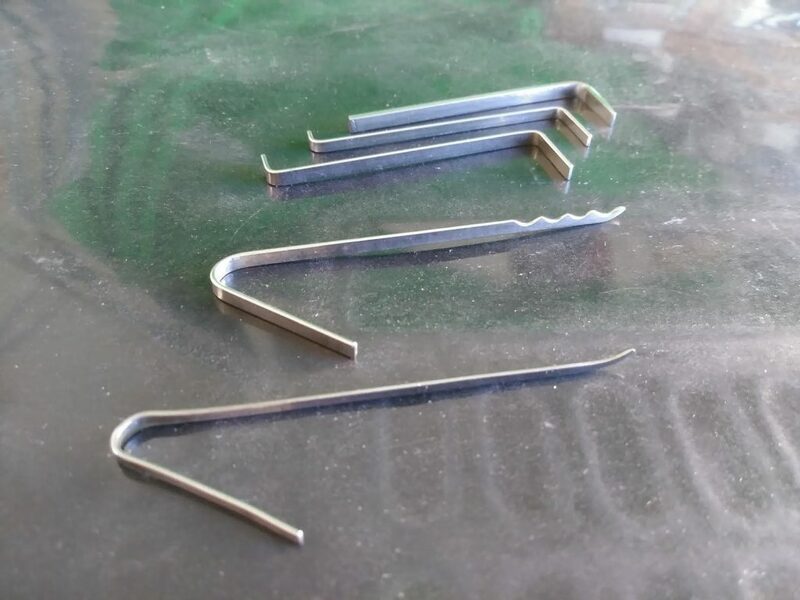 Bob: What have been some of your practical applications of lock picking? Christina: A friend and I were on a wildflower safari in Frazier Park, California. We were about to head into the wilds of the Los Padres National Forest and then on to Carrizo Plain. There were no services or restrooms for hundreds of miles where we were headed, so we went into the last convenience store before the wilderness, in the hopes of using their restroom and getting supplies. Someone had locked the knob and shut the door from the outside and the owner could not find his key, so I whipped out my Bogota set* and offered to open it. After some initial trepidation concerning potential damage to his lock, the owner consented. I raked it open in about five seconds, but before I could say a word, the cashier leapt over the counter, shot past us, and dove into the bathroom to relieve himself. Apparently, he’d been needing to go for about two hours. *A “Bogota set” refers to a pair of picks that are each both pick and turner. They nest together for storage and have a 90° twist to orient the pick perpendicular to the turner handle for ease of use. We just happen to have the Titanium Bogota Set available on our web store. Bob: Do you have any advice for people starting in lock picking and don’t know where to start? Christina: Nowadays there are vast numbers of resources. I occasionally maintain the Lockport References page. 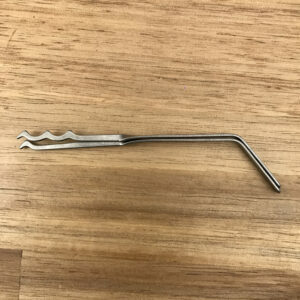 It has lists of free guides and videos, some book suggestions, various groups and clubs you can join, and a list of all of the current manufacturers of lock picks. If you are interested in buying picks, you can spend hours, days, or even weeks perusing the catalogs of all of these manufacturers and following links to the other resources. It also has few basic suggestions on starter sets. Bob: What accomplishment would you consider to be the most significant or that you’re most proud of? Christina: I’m pretty happy with my Lock Pick Metallurgy paper*. I wrote that in the hopes of getting both DIYers and manufacturers to use better metal in making their picks, and help people understand which metals are better and for what purposes. I’m pretty happy with the research I’ve been doing on wave rakes and the Wicked Waves, which was done in partnership with TOOOL. The principle behind the Wicked Waves was about evaluating about a dozen different wave rakes that were on the market at the time, figuring out which ones worked best and why they worked better, then enhancing the characteristics that made them work better to optimize wave rake shape for the best performance. *Both Bob and I have had the pleasure of seeing Christina give her talk on Lock Pick Metallurgy. 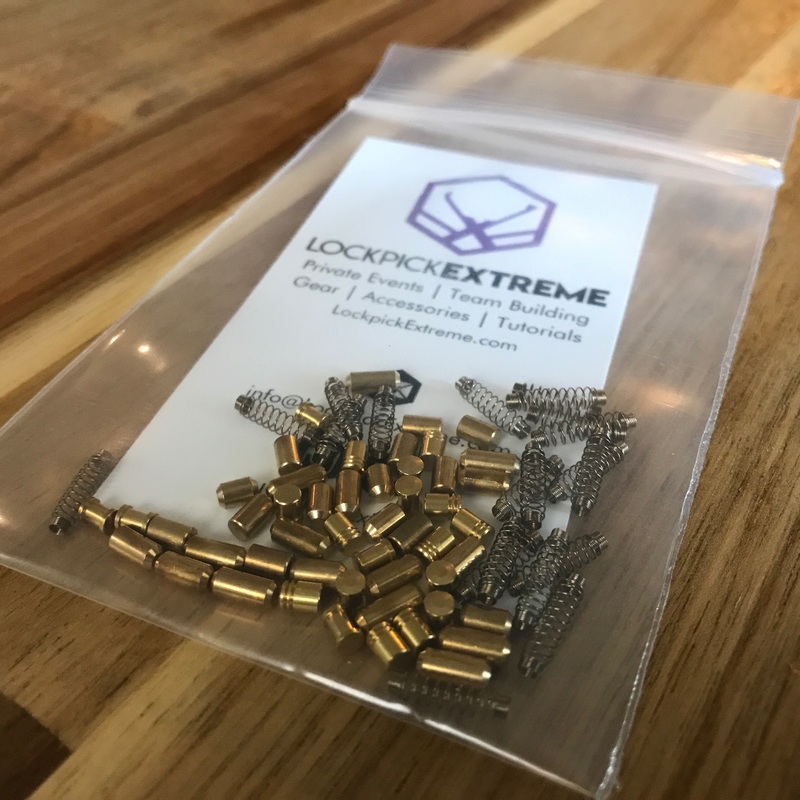 It’s full of science, data, and mathematics that describe a variety of metals in a way that directly relates to lock picking, and even includes how this is relevant within current pick brands many of us use today. Christina also has a very insightful page on Raking Techniques, complete with descriptive animations and other information on torque or turning force. Bob: What do you think contributes to your success? Christina: Well, I don’t see this as succeeding or failing. I see this as a hobby that I enjoy doing, so it really isn’t about success and failure for me. Christine: For someone who’s considering taking up lock picking or hasn’t reached out to other people, how would you describe the lock picking community? Christina: I’ve made a lot of good friends in the lock picking community and I like to hang out with them. I really look forward to our meetings. We hope that you’ve enjoyed reading this interview as much as we enjoyed talking to Christina about lock picking. To check out all the interviews in this series, check out our Women in Locksport Series page here. 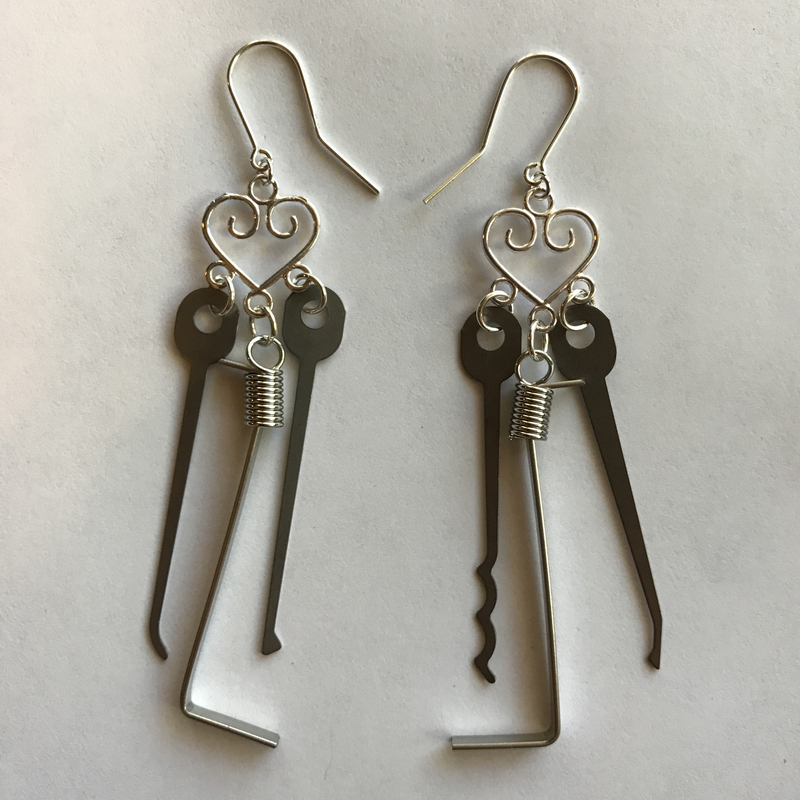 Have you come across many women in locksport? If you have a suggestion for someone you’d like to us include in this series, please leave us a comment below!